This itinerary is dedicated to one of the most active architects in the Milanese architectural scene: Piero Portaluppi. 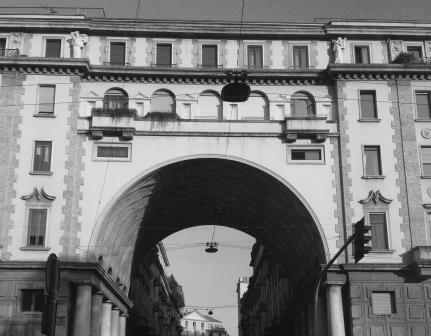 From 1910 and for almost fifty years the architect left his personal sign on the current urban fabric of Milan. We will take you to discover some of the most important buildings designed by Portaluppi. Starting from the fascinating Planetarium, the biggest in Italy: inside the public gardens of Porta Venezia, it was commissioned by the publisher Ulrico Hoepli as a gift for the city. Then we will enter in the Silence district crossing the House with an Arch to reach the beautiful Villa Necchi Campiglio. The villa, immersed in a relaxing garden with pool and tennis court, is an elegant and modern residence. We will conclude this itinerary in the centre of Milan, visiting the Atellani's House in front of the Church of Santa Maria delle Grazie. During the Twenties the Renaissance building has been restored by Portaluppi, with great changes but discovering ancient frescoes.